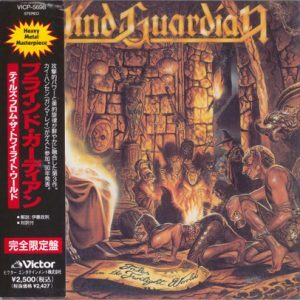 1990 – Blind Guardian – Tales From The Twilight World – Japan Cd. Mini-Lp Style Cd From The Japanese “Heavy Metal Masterpiece” Series From 1990 – W/BI+Lyrics. Kai Hansen: Lead and backing vocals, and lead guitars on Lost in the Twilight Hall, The Last Candle and Goodbye My Friend. 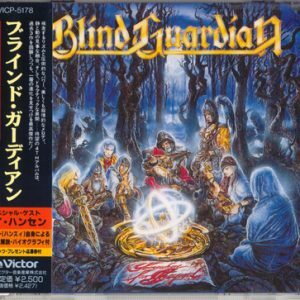 1992 – Blind Guardian – Somewhere Far Beyond – Japan Cd. Kai Hansen: Lead guitars on The Quest for Tanelorn. 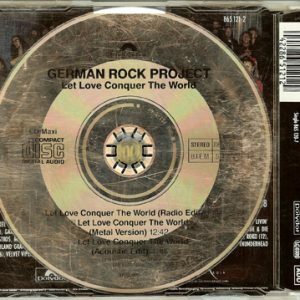 1991 – German Rock Project – Let Love Conquer The World – Maxi Cd. 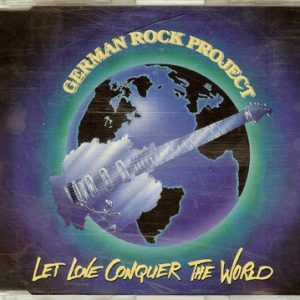 1991 – German Rock Project – Let Love Conquer The World – Singel 7″. 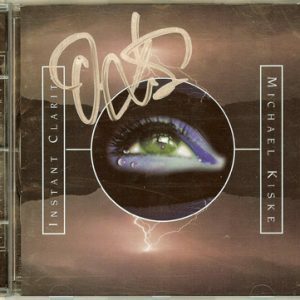 1996 – Michael Kiske – Instant Clarity – Cd. Signed by Michael Kiske. Kai Hansen and Adrian Smith: Guitars on The Calling & New Horizons. 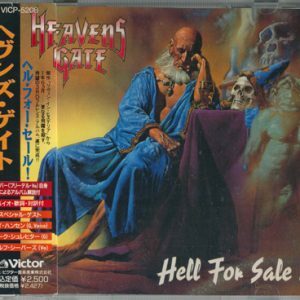 1998 – Heavens Gate – Hell For Sale – Japan Cd. Kai Hansen and Dirk Schlächter: Lead Guitars on and backing vocals on Rising Sun and Hell for Sale. 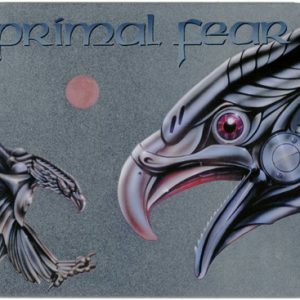 1998 – Primal Fear – Primal Fear – Metal Case – Cd. Kai Hansen: Guest guitars on Formula One, Dollars, Tears of Rage and Speedking. 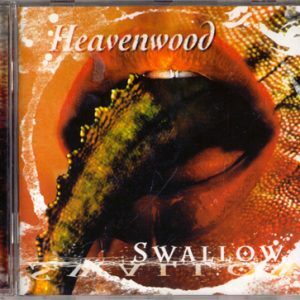 1998 – Heavenwood – Swallow – Cd. Kai Hansen: Guest and backing vocals on Luna and Downcast. 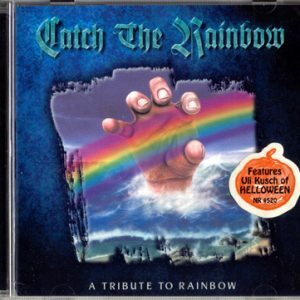 1999 – Catch The Rainbow – A Tribute To Rainbow – Cd. Henjo Richter: Guitar on Kill The King. Artwork & Booklet Design. 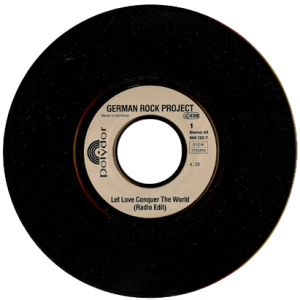 Ralf Scheepers: Vocals on Eyes Of The World. Uwe Wessel: Bass on Sixteenth Century Greenseeves. 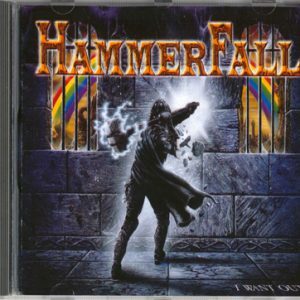 1999 – Hammerfall – I Want Out – Cds. Kai Hansen – Lead vocals, guitars and keyboards on I Want Out and backing vocals on Man on the Silver Mountain. Produced by Kai Hansen & Dirk Schlächter. 2000 – Heavenly – Coming From The Sky – Promo – Cds. 2000 – Heavenly – Coming From The Sky – Cd. Signed by Kai. Additional lead vocals on “Time Machine” by Kai Hansen. 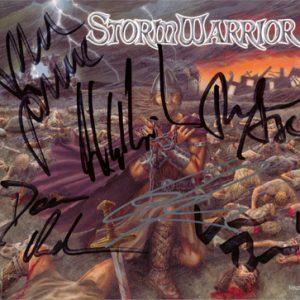 2002 – Stormwarrior – Cd. Signed by Stormwarrior, Kai & Dirk. Recorded, engineered and mixed by Kai Hansen & Dirk Schlächter. Kai Hansen, vocals & guitar on “Chains Of Slavery” & “Heavy Metal (Is The Law)”. Dirk Schlächter, guitar solo on “Deathe By The Blade”. 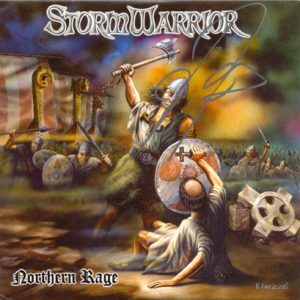 2004 – Stormwarrior – Norther Rage – Promo Cd. Signed by Kai. Produced by Kai Hansen, Lars Ramcke & Falko Reshöft. Drums recorded by Kai Hansen. Mixed and mastered by Kai Hansen. Guest vocals on “Heroic Deathe” by Kai Hansen & guest guitar solo on ”Welcome Thy Rite”. 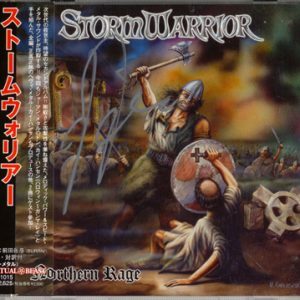 2004 – Stormwarrior – Norther Rage – Japan – Cd. 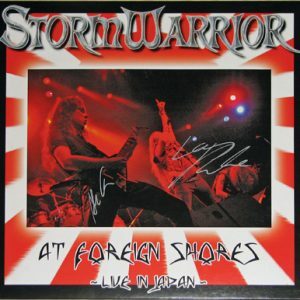 2007 – Stormwarrior – At Foreign Shores – Live In Japan – Lp. White colored vinyl (LP) – signed by Lars & Alex – Ltd. & numbered (No. 98 of 500, only 100 white vinyl) – Mastered by Dirk Schläter. 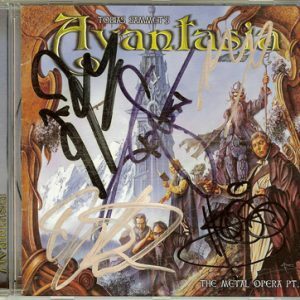 2001 – Avantasia – The Metal Opera – Cd. Signed by Tobias Sammet, Kai, Henjo, Michael Kiske & Markus Grosskopf. Henjo Richter: Rythm & lead guitars. Regrin, the Dwarf, played by Kai Hansen. 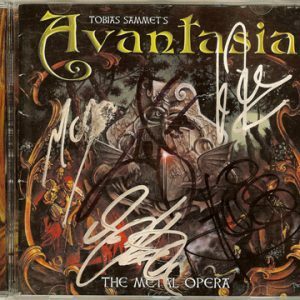 2004 – Avantasia – The Metal Opera PT II – Cd. 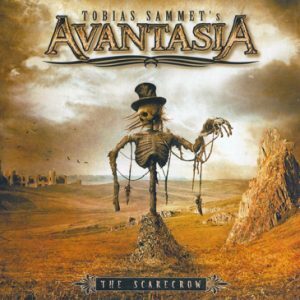 2008 – Avantasia – The Scarecrow – Cd & Dvd. Kai Hansen:Guest guitars on Shelter From The Rain. Henjo: Guest guitars on Shelter From The Rain, Another Angel Down, The Toy Master & Devil In The Belfry. 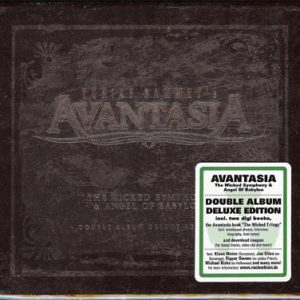 2010 – Avantasia – The Wicked Symphony/Angel Of Babylon – 2Cd. 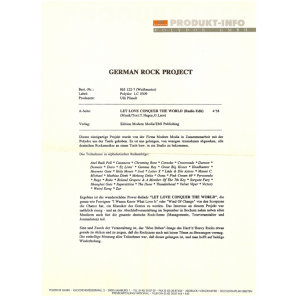 Deluxe Edition – 2CD – Digipack – Henjo Richter Guitars on Promised Land. 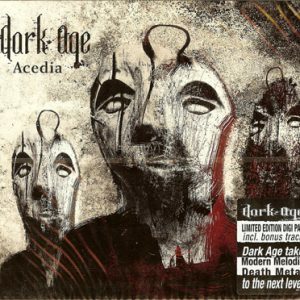 2009 – Dark Age – Acedia – Cd. Digi/Ltd – Kai Hansen Guest vocals on Vampyrez. 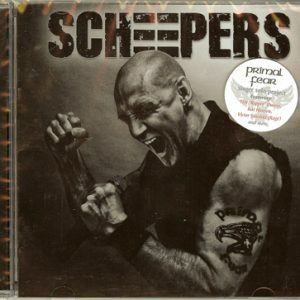 2011 – Scheepers – Scheepers – Cd. Kai Hansen added guitar on The Pain Of The Accused. 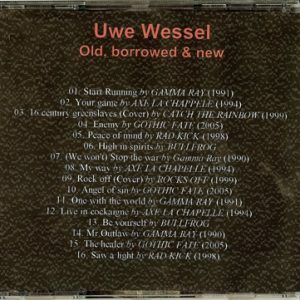 Uwe Wessel – Old, Borrowed & New – Cdr. 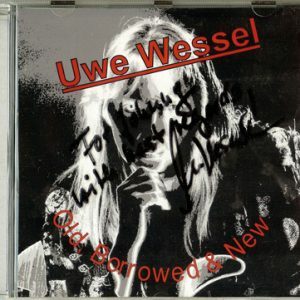 Signed by Uwe Wesswl to me. 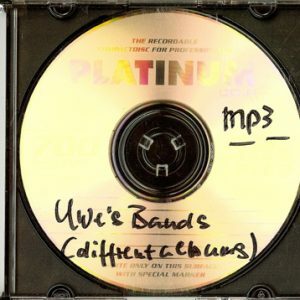 Uwe Wessel – Uwe´s Bands – Mp3 Album. Burned by Uwe to me.